Move over Icewine, Canada is poised to become a world power in the production of high quality sparkling wine. And it will be a truly national phenomenon, with excellent wines coming from Nova Scotia, Quebec, Prince Edward County and Niagara in Ontario, plus the Okanagan Valley, Similkameen Valley and Vancouver Island in B.C. Canadian bubbles have not yet washed across international shores (we are the world’s 27th largest wine exporter by the way). Or even inter-provincial boundaries. But, Canada has begun. In mid-June the 22 judges of the WineAlign National Wine Awards of Canada who gathered in Wolfville, Nova Scotia got an up close and personal look at the situation while tasting through 80 sparkling entries. Just over 50% took medals, with 12 capturing Golds. (See below). That was the highest gold medal percentage in any category in the competition, and each of the three main wine producing provinces featured in the winners’ circle. 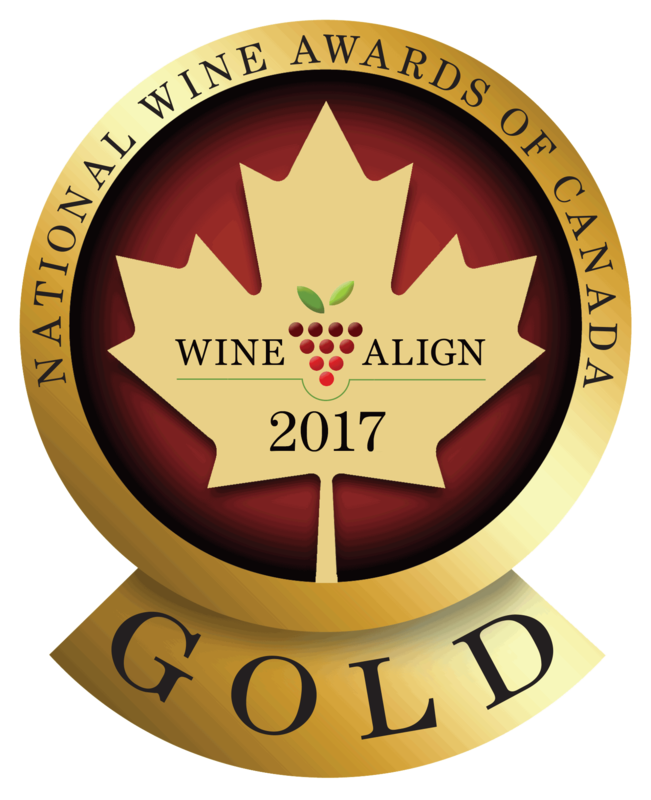 Announcement of the full National Wine Awards of Canada 2017 results, including the Winery of the Year, will come later in July. We thought it fitting however to tell you about the Gold Medal bubblies in time for Canada Day Celebrations. Back in Nova Scotia, just before the Awards, over 200 delegates at the Atlantic Wine Symposium in Halifax heard several speakers extol the emergence of bubbly in Canada. It is a hot topic in Nova Scotia where sparking wine has become the most highly regarded style in the province. According to the Ottawa-based Canadian Vintners Association, almost 150 Canadian wineries now make sparkling wine, with about 70 in B.C., over 50 in Ontario, and another 30 in Quebec and Atlantic Canada. Within Canada sales of sparkling wines from all countries have grown 7.1%, while still wines were at 4.5%. This is actually part of a global bubbly boom which has seen growth by 4.5% to account for 11% of wine sales around the world. People are finally coming around to the notion that sparkling wine can bring its joy to daily life as well as those ship-launching and ’we-are-the-champions’ moments. I personally believe that this barrier-breaking transition from luxury/special occasion product to daily/weekend/year ‘round staple has everything to do with the increase in quality of less expensive “charmat produced” sparklers – led by Italian prosecco. They expose simple fruit and refreshment pleasure, without all the ageing complexity, nuance and attitude achieved by the more expensive, traditional “Champagne” method wines (see explanation of the difference below). Having said that, traditional method sparklers have improved and expanded their production base around the world as well. Champagne may have more history, experience and cachet, and arguably a distinct terroir, but it has no secrets that cannot be applied elsewhere. Indeed in Ontario sparkling winemakers have formed an industry “Fizz Club” that assembles once a year under the direction of Brock University researcher Belinda Kemp at Cool Climate Oenology and Viticultural Institute (CCOVI) to constantly taste and discuss production methods, an idea that I would hope one day expands across the country. Canada is in an enviable geographical position to capitalize on sparkling wine. Our northerly cool-climate latitude delivers higher fruit acidity that is essential to the style. Natural acidity and effervescence are the rhyming couplets essential to sparkling wine’s poetry. But as British wine writer and NWAC judge Jamie Goode (PhD) advised during the Atlantic Symposium, “Acidity is not enough.” To paraphrase his explanation, you can pick any fruit early and it will bristle with unripe acidity (think underripe, tart green apples). The fruit must also achieve phenolic/flavour ripeness without losing that acidity, which is achieved through a long, cool autumn ripening season. This is what Champagne, and most parts of Canada, deliver better than many other places. None better perhaps than Nova Scotia, which sits within one degree of latitude of the vineyards of Champagne. In and around the Minas Basin and Gaspereau Valley near Wolfville, the ebb and flow of Bay of Fundy tides and the resulting air movement as well, can prolong the growing season, albeit with cool autumnal temperatures. It is here that a bold project called Benjamin Bridge launched in the mid-2000s, with a set focus on sparkling wine. And its success seems to have focused the entire country on sparkling wine. This is not to downplay the efforts of producers in B.C. and Ontario that pre-date Nova Scotia’s arrival (now defunct Podamer was making good Niagara sparkling in the early 1980s). But the seeming improbability of Benjamin Bridge, as well as the quality delivered when consumers and critics first lay lips on a glass, has been arresting. In 2016 an international trade magazine called Drinks Business named Benjamin Bridge’s 2008 Brut among the best 14 sparkling wines in the world. And Benjamin Bridge is not a solo operatic voice in Nova Scotia. The NWAC judges tasted great NS bubbles from Blomidon Estate, Lightfoot & Wolfville, L’Acadie and Grand Pré as well. There are many other Canadian producers who are fully invested. Elsewhere, outside of our list of gold medalists below, I like the efforts of Unsworth in Vancouver Island’s Cowichan Valley, Salt Spring Island Winery in BC’s Gulf Islands, Blue Mountain, Maverick and Bella in the Okanagan Valley; 13th Street and 2027 Cellars in Niagara; and Hinterland, Huff, and Lighthall in Prince Edward County. Sparking wine is a big financial commitment, requiring either sophisticated equipment for charmat method wines and/or patience as wine ages to create quality in the traditional method. Simply injecting CO2 as in beer or pop doesn’t quite cut it. Making traditional method sparkling wine, where the second bubble-producing fermentation happens inside the bottle, is laborious and expensive. The wine picks up intriguing pastry/nutty ‘autolytic” complexity from ageing in contact with spent yeasts that caused the fermentation. But ageing the wine on its lees then getting rid of (disgorging) the yeasts/leesy bits that create that cloud in the wine is a long process. It is faster to produce “tank fermented/charmat” sparklers. There is no ageing in bottle required, the flavours capture more natural fruit, and the wines are cheaper. And Canada delivers the simple fruit purity with ease, and at very reasonable prices. I really like efforts in this genre from Vancouver Island and Ontario’s Prince Edward County in particular. In reality Canada can aspire to compete with both French Champagne and Italian Prosecco. But how to best communicate this difference to consumers? The price sticker is the immediate tool, but people don’t quite understand the production subtlety. One of the speakers in Halifax was Stephen Skelton, a British Master of Wine who is professionally and personally invested in creating the booming British sparkling wine industry. There are many parallels to the Canadian experience, both being cool climates in non-traditional wine producing areas. Skelton strongly believed that emerging sparkling wine regions (like the UK and Canada) should focus on wines made to the Champagne formula, at least in marketing terms. He agued that in a world dominated by Champagne it was just simpler to explain and sell sparking wine in Champagne terms. I understand this perspective but it is a bit Euro centric. In Canada we have a clean slate in some respects. We don’t really need to emulate Champagne, even though we relish any positive comparison. We are growing many distinct grape varieties in different parts of the country that do produce interesting, quality sparkling wines. And we can make charmat wines quite cheaply. The sparkling wines for the National Wine Awards of Canada judging came in several categories: blanc de blancs (usually chardonnay based), traditional method vintage and non-vintage bruts (blending pinot noir and chardonnay), blanc de noirs (usually based on pinot noir), rose sparkling (also pinot noir) and other varietal wines (often made by the charmat method). And all styles figured well in the results. Below are the gold medalists that finished top of class. There were another 22 wines that took silver and 11 that took bronze – just a couple of points removed in the tight scoring race. When you click the links to the wines below you will be taken to a wine profile that will include any individual reviews and ratings of that wine to date, including my own notes and ratings made during the NWAC competition. Reviews from other NWAC judges will appear in the coming weeks. Whether or not you are able to find one of these for Canada Day, I encourage to toast with Canadian sparkler! The Canadian Wine Report brings you News and commentary on Canadian wine from a national perspective. Which means that the subject matter, events and tastings have elements or implications beyond provincial and appellation boundaries.